Their teacher, Ms. Chang, published some of their pieces on her class website, here. Check out two of the pieces below. The first is by Josephine Samarjian and the second is by Alyssa Healey. The more I look at them, the more I’m taken aback. 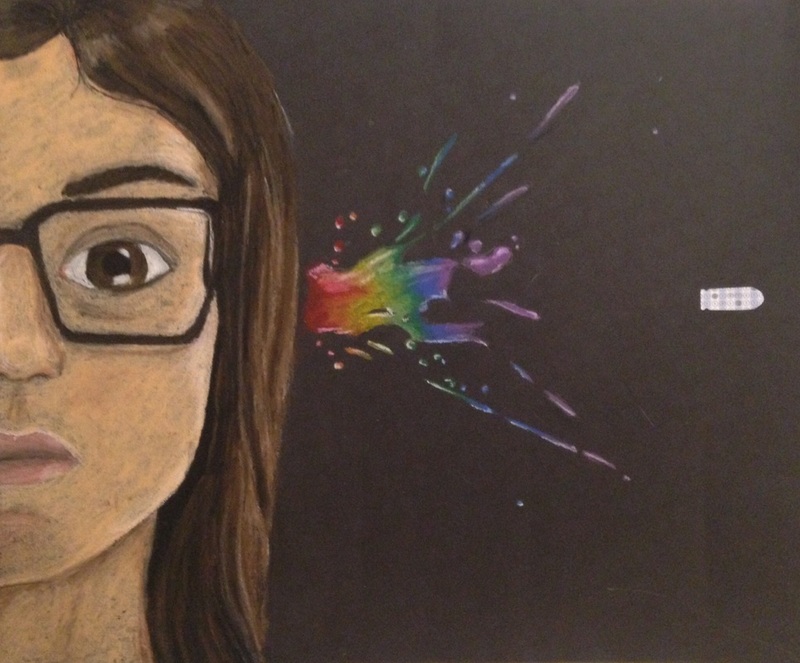 In the first, Ms. Samarjian shows a “Scantron” bullet disrupting the rainbow of beautiful, creative, thoughts of a young girl who stares blankly ahead, seemingly undisturbed by the act. 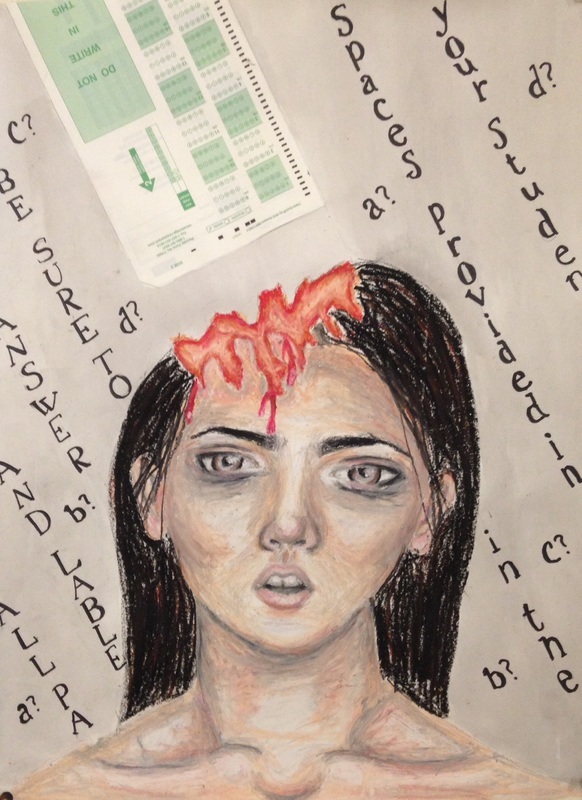 In the second, Ms. Healey depicts a Scantron melting a girl’s skull while testing instructions and answer choices float in the background. The girl looks haggard, with deep circles under her eyes and pupils that can’t seem to focus. It’s disturbing, sad, raw. Summer is upon us and testing seems like a distant memory, but it might also be a good time to contemplate the emotional consequences of how we do school. Not every student is likely to feel this way, obviously. I know many kids whose schools hold pep rallies to cheer on the state test, and who feel a great sense of pride and accomplishment when they get back “proficient” or “advanced” scores. But, clearly, standardized tests and the industrial school paradigm that produces them have left some scars.